We are supported by our state-of-the–art infrastructure that is equipped with latest machinery and other technical equipments. Our spacious and evenly segregated warehouse enables us to store our products safely and identify them at time of dispatching to meet demands of our clients. 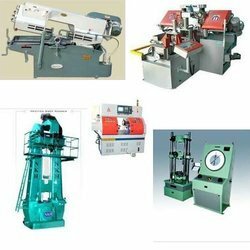 The quality testing laboratory is also equipped with equipments of quality testing. NKH Hammer :-We are engaged in manufacturing quality range of Ferrous and Non Ferrous Forged Components. Our range is developed using quality raw material such as alloy steel and carbon steel. These raw materials are obtained from trustworthy source like VSP, VISL, Mukand and RL Steels. Used to fulfill the needs of engineering, automobile, defence and pump industry. In addition to manufacturing the above mentioned products, we hold expertise in providing services for heat treatment and CNC machining to attain 100% customer satisfaction.